The linked pages show some of the custom framed artwork designed and produced at My Personal Framer. As a photographer and custom picture frame designer I have a broad knowledge of the best processes to use in the design, production and finishing of photographs. The glazing is always Conservation, but the individual pieces will determine whether it is Clear, Reflection Control or Museum. 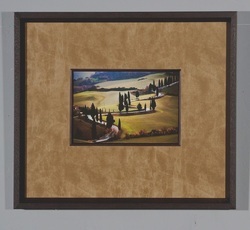 Conservation Framing: uses a minimum of Acid-free foam board, all mats are preservation quality, mounting techniques are easily reversible. Photography is spray mounted to photo rag or acid-free foam core. If you have a question of the framing or wish to purchase please feel free to email me at sally@newbergallery.com or purchase through the NewbergArt.com website.